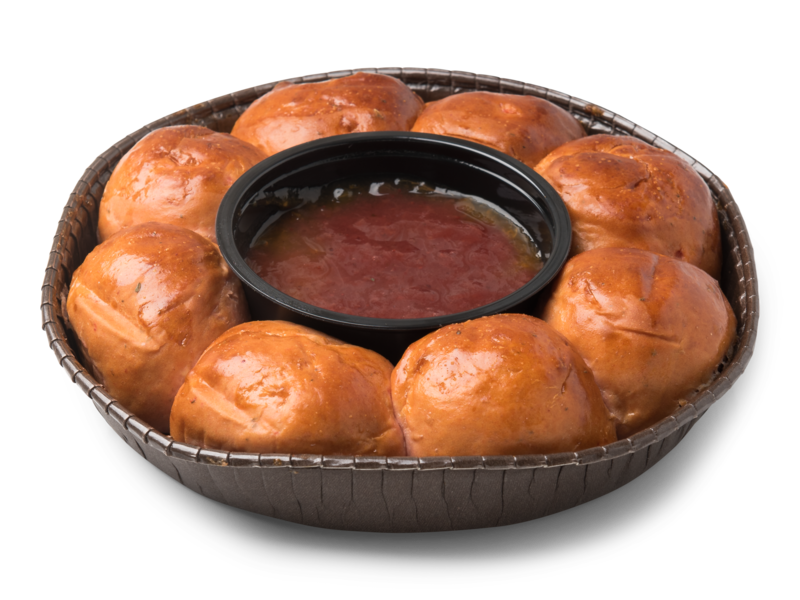 The first bread-and-dip-in-one. This concept is perfectly in line with the current sharing-culture and combines convenience with cosiness. 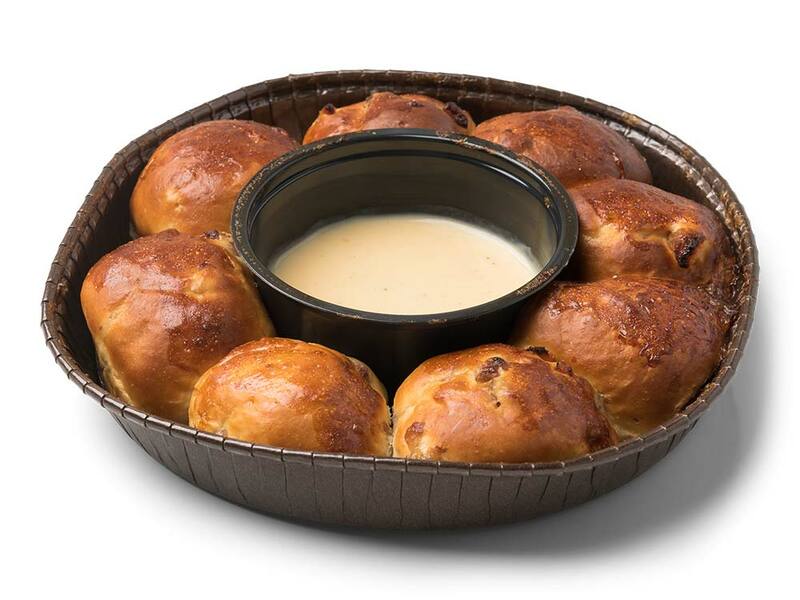 Enjoying delicious food together has never been so easy. The sweet variants are suitable for breakfast, lunch or high tea. The savoury variants are suitable for lunch and drinks. A great combination with soup or salad as well. Garlic and parsley are mixed with dough. 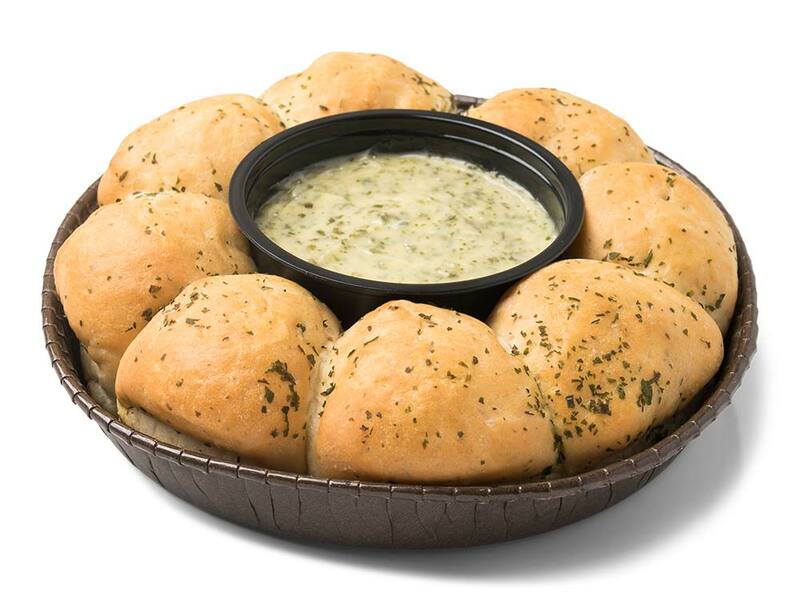 The herb butter dip is a wonderful finish. After heating up in the oven, the cranberry’s form a surprising, delicious combination with the warm Camembert. 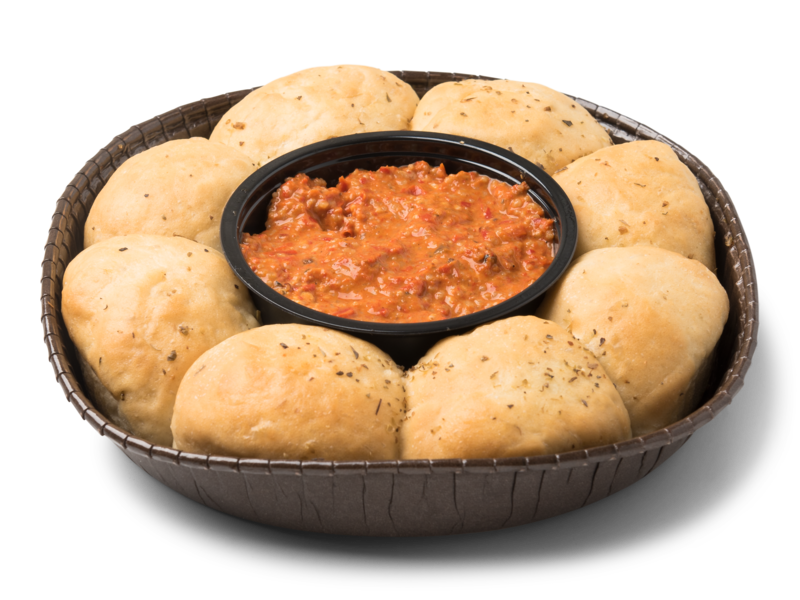 The roasted, tasteful pepper-dip in the middle immediately catches the eye. 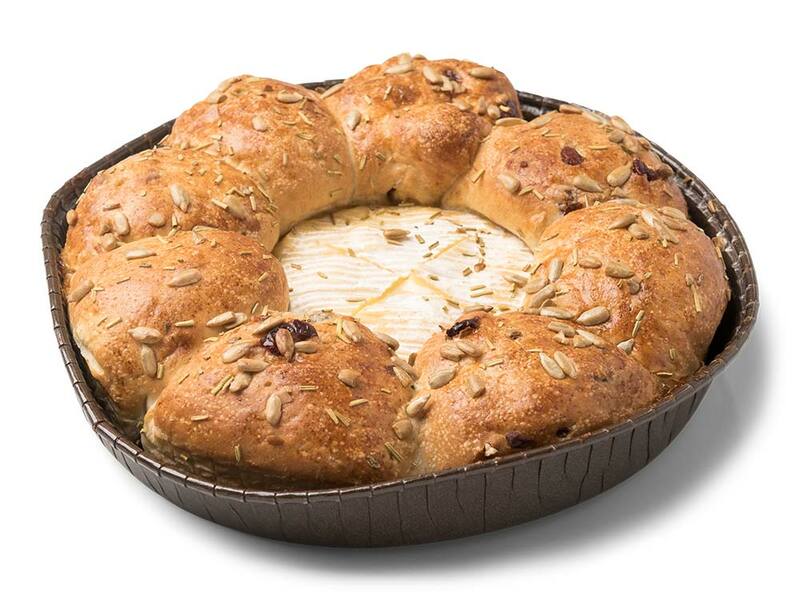 A delicious combination of lovely Mediterranean herbs and special bread. A sweet variant thanks to the apricot and raisin pieces. The vanilla-dip is a great topping. The chocolate drips topping is a delicious and a feast for the eye. 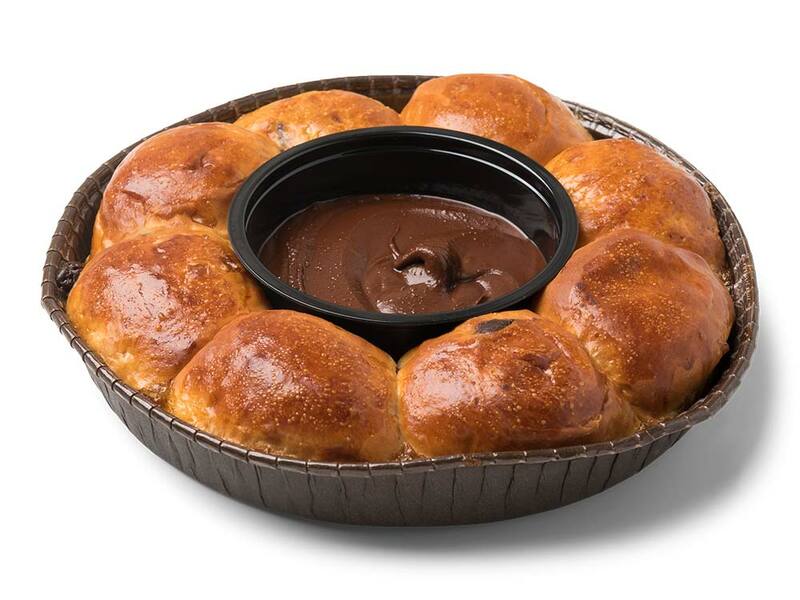 A dip in the hazelnut spread completes your chocolate experience. Strawberry’s create the wonderful red colour of this brioche bread. A lovely one-two with the dip of tasteful milk chocolate.